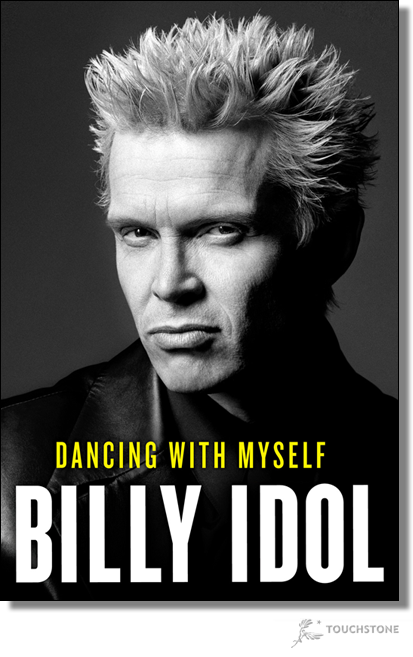 In the video above, Billy Idol discusses the DIY roots of the punk rock movement, the early days of MTV, and why writing his New York Times bestselling autobiography, Dancing With Myself, was more exhilarating than taking drugs. An early architect of punk rock’s sound, style, and fury, whose lip-curling sneer and fist-pumping persona vaulted him into pop’s mainstream as one of MTV’s first megastars, Billy Idol remains to this day a true rock ’n’ roll icon. 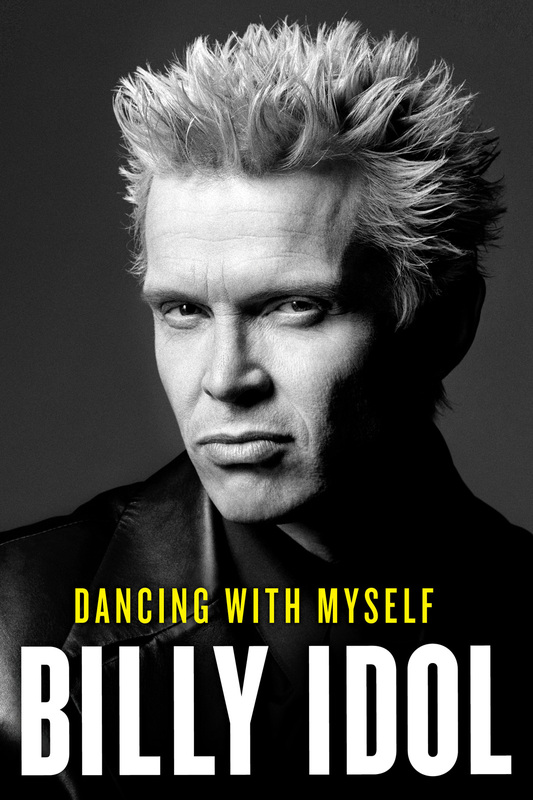 Now, in his long-awaited autobiography, Dancing With Myself, he delivers an electric, searingly honest account of his journey to fame—from his early days as frontman of the pioneering UK punk band Generation X to the decadent life atop the dance-rock kingdom he led—all rendered with the in-your-face attitude and fire his fans have embraced for decades. Beyond adding his uniquely qualified perspective to the evolution of rock and culture, Idol is a brash, lively chronicler of his own career. Featuring sixteen pages of behind-the-scenes photos, Dancing With Myself is a survivor’s story at its heart, but also an enchanting, sometimes chilling, and always riveting account of one man’s creative drive joining forces with unbridled human desire, this startling memoir is unmistakably literary in its character and brave in its sheer willingness to tell. 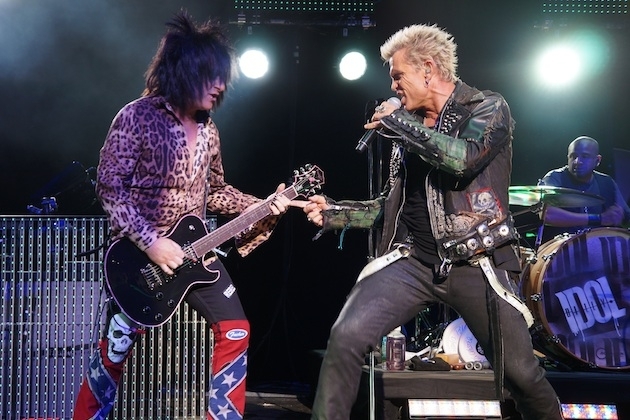 Billy Idol is destined to emerge as one of the great writers among his musical peers. “I came to New York in the spring of 1981, my Country Gentleman guitar in one hand, a suitcase in the other, the trunk with my pink Elvis ’50s-style jacket and the sum of my effects on my back. Surely this city, with its skyscrapers reaching into the ozone, touching hitherto unknown heights, might welcome yet another stranger in a strange land, one more explorer doing his damndest to act unafraid in the face of his exceedingly uncertain future. The heavens blazed my coming to America that first night with shooting stars and a strange halo effect that may well have been the man in the moon laughing at my audacity. Some thirty-three years later, I come to you again, with a story to tell. You know me as Billy Idol, the hell-raising rebel who’s lived life to the full—sometimes fuller than life would allow. But I am also William Michael Albert Broad, a working-class kid from the suburbs of London: a dreamer with his nose forever in a book, cursed with feeling too much, dreaming too big, and suffering slights too deeply. Life gave me a golden key when I fell in love with rock ’n’ roll (thanks to the music in my Irish mum’s blood), and a whole new world opened up to me. With this world came every opportunity, and every temptation under the sun; around-the-clock excess. Read the book prologue here via Time.com. Read another chapter excerpt here via Esquire.com. Read another chapter excerpt here via CBSnews.com. Top 10 of 2014 book review here at RollingStone.com. Read a book review here at NYTimes.com. Read a book review here at PunkNews.org.